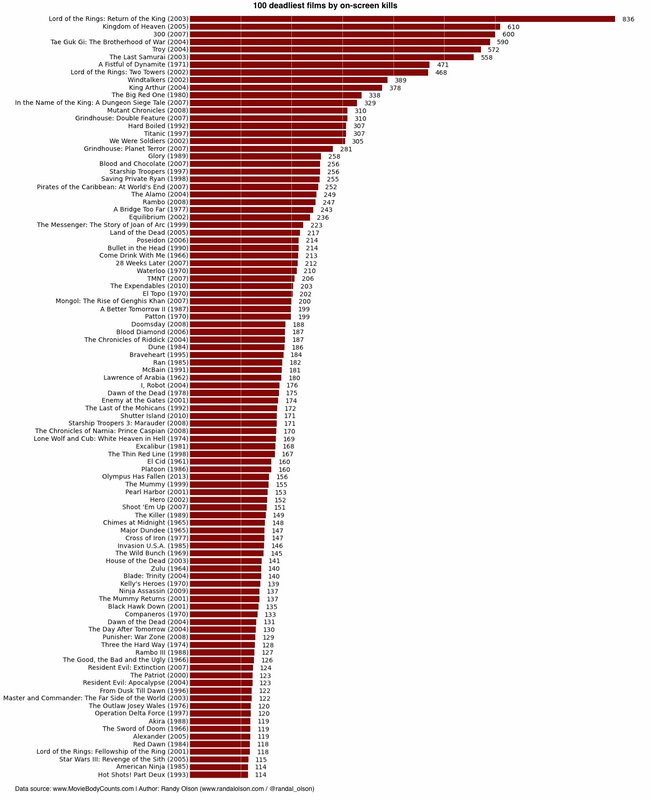 This chart by internet infographer Randal S. Olson uses the info provided by moviebodycounts.com to show exactly which movies show the most onscreen murders. This brings up some issues though. Does an Uruk Hai count as a "life"? What about Alderaan? Still, it's weird seeing which movies made the list (The Mummy Returns?). Also, looking at the top 10, who would have guessed that Orlando Bloom was the deadliest actor of all time? CHMEDIA ©2017 Connected Ventures, LLC. All Rights Reserved.